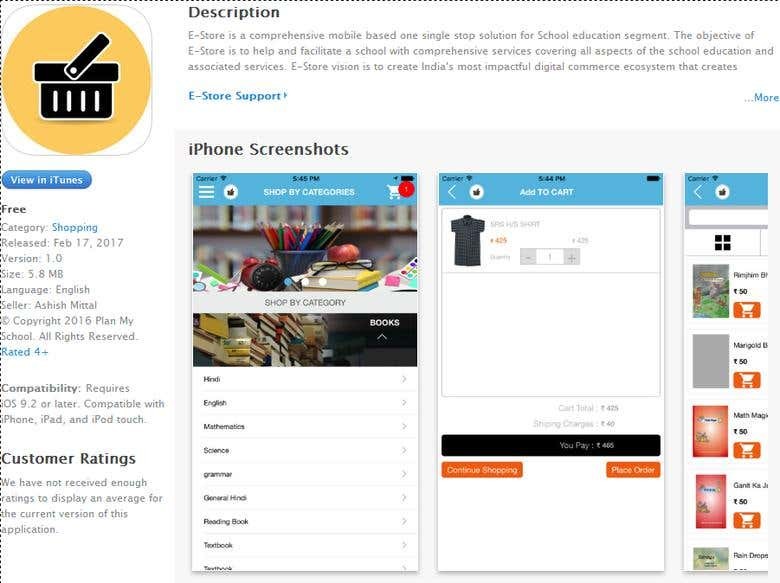 iOS based iPhone application which will be used by parents of school going children. E-Store will be a market place where all school related things like books, stationary, uniforms, etc can be purchased online. Users can pay online and can track their orders as well.